What is the UCU asking for? 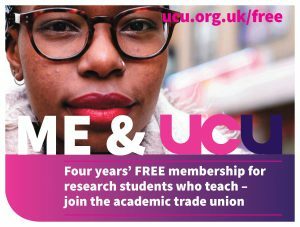 Unite, UCU, GMB and EIS submitted the following key points of the national claim for this year’s new JNCHES negotiations. 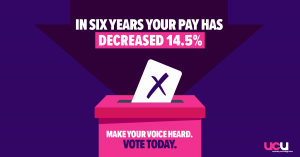 nationally-agreed action for institutions to reduce the proportion of their staff on casual and zero-hour contracts and to ensure that their pay reflects the rate-for-the-job of permanent staff. To establish the Scottish sub-committee of new JNCHES as set out under the new JNCHES agreement. 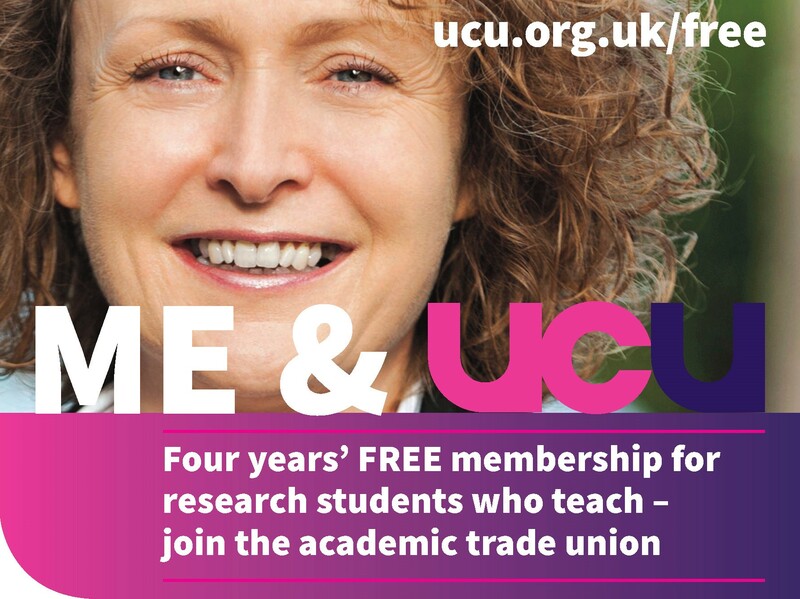 no agreement on external examiner pay rates or minimum rates of pay for each occupational group. no agreement to set up a Scottish subcommittee of negotiating machinery. 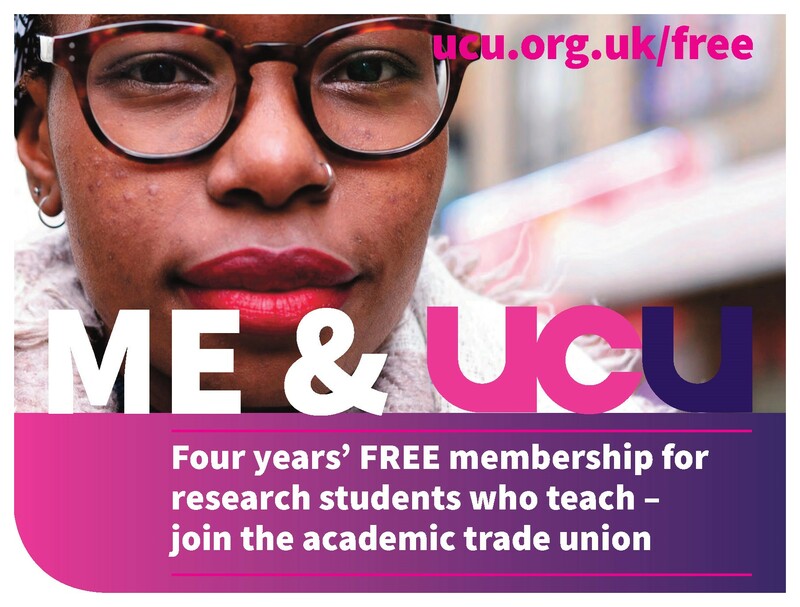 Your ‘yes’ vote for both strike action and action short of a strike are crucial to he effective negotiation of these points. How much will you be losing this month? 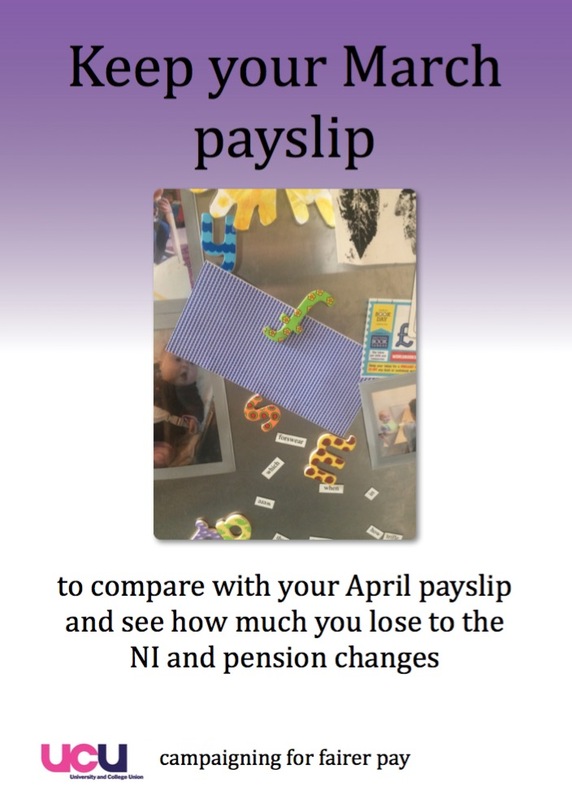 We recommend that you keep hold of your March payslip, stick it on your fridge and keep it to hand, to compare with the one you’ll get in April and after. 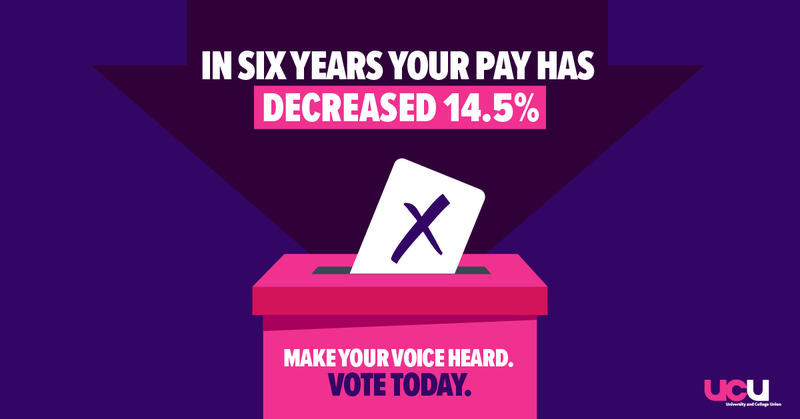 You will then clearly see the effect of the increases in National Insurance and of USS Pensions contributions, and what these will do to that 1% pay rise the employers imposed last year (if it hasn’t already been eroded by your increased car-parking, commuting and/or childcare costs). You might have seen the THES article on this matter. We’d like to do something about all this, if you’re prepared to join in. Firstly, members of USS pension scheme will see their contributions to that scheme increase next month to 8% of your salary, up from 6.5% for CRB members (those who joined after April 2011) and from 7.5% for Final Salary members. The government has announced changes to National Insurance contributions from April 2016. From 6 April 2016, USS pension members will no longer receive the 1.4% National Insurance rebate and will pay a higher rate of National Insurance, with contributions increasing from 10.6% to 12% on middle band earnings (ie. earnings between approximately £8,064 and £43,000 per annum in the 2016/17 tax year). The change in National Insurance contributions is happening as a direct consequence of a change in the State Pension which will also take effect at the same time Currently, the State Pension is made up of two parts: the basic State Pension and the additional State Pension (often referred to as the State Second Pension (S2P) or previously SERPS). 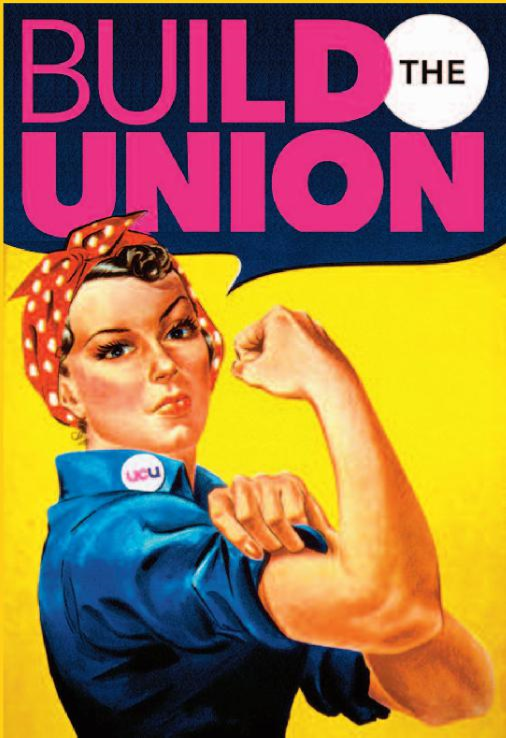 Members of USS are currently ‘contracted-out’ of the additional State Pension and consequently pay National Insurance at a lower rate. For people who reach State Pension Age on or after 6 April 2016, a new State Pension will replace the existing basic and additional State Pension, which will end the practice of contracting-out. As a consequence, all staff will pay the same ‘contracted-in’ rate as they build up the new State Pension in addition to their workplace pension. Support the doctors at Leeds General Infirmary this week. 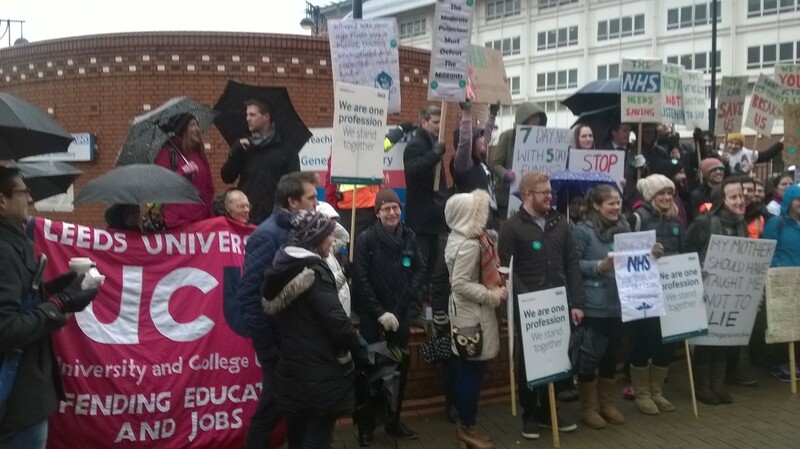 On Wednesday 9th and Thursday 10th March from 8.15 am until around 11am there will be a demo at the mini roundabout outside Jubilee Wing/A& E supporting the main picket of junior doctors. 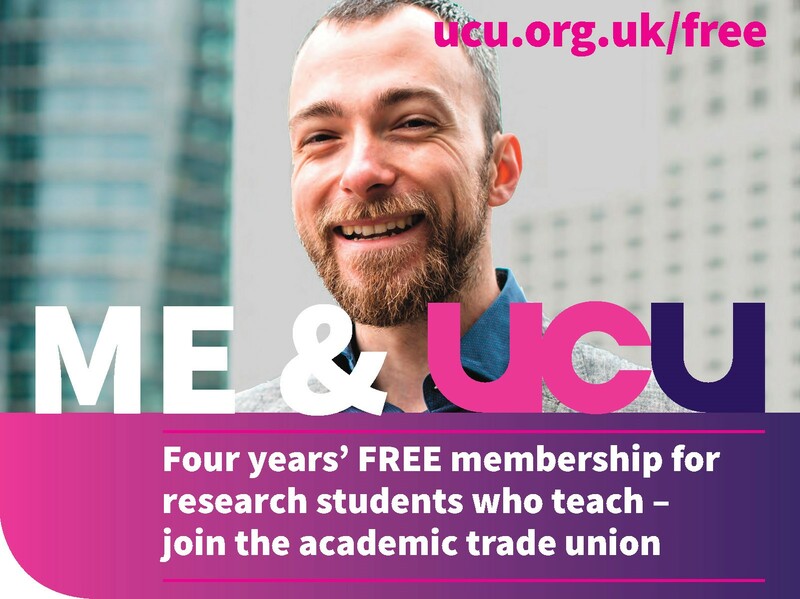 The Leeds UCU banner will be there! If you can get to St. James they will be gathering outside the main entrance from 8am until 12ish. Also on Thursday 10th March from 5-7pm outside LGI help join hands and bunting round the LGI in defence of our NHS and in support of the NHS reinstatement Bill. Meet at the entrance to Brotherton Wing opposite Millennium Square. The Bill aims to stop privatisation, restore the Secretary of State’s duty to provide a comprehensive, national health service, get the market out of health and deal with ludicrous PFI debts, which are bankrupting hospitals. Bring banners, placards, etc. All welcome! Thanks to Leeds Keep Our NHS Public for the information. Followed by a discussion on the gender pay gap in higher education. This is an open meeting: members, non-members, and students welcome. 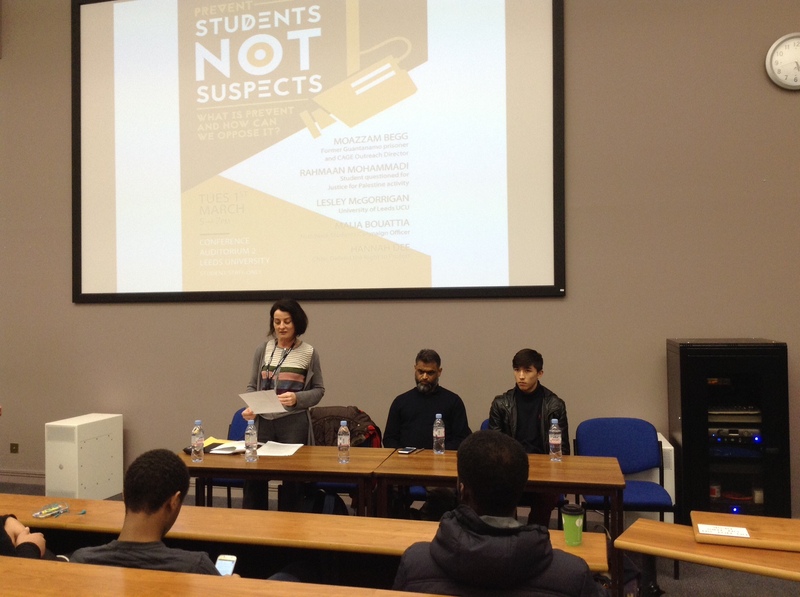 UCU contributed to the Leeds university ‘Students Not Suspects Tour’ debate in the Conference Auditorium on 1 March. Lesley McGorrigan, UCU NEC member and local Campaigns Officer addressed the meeting alongside Moazzam Begg, former Guantanamo prisoner, detained for two years without charge and Rahmaan Mohammadi, school student questioned for campaigning for Palestinian rights. The meeting discussed the ramifications of the ‘War on Terror’ and its use in legitimising and further propelling the pro-war agenda by ‘othering’ and scapegoating Muslims at home and abroad. The meeting heard some of the of victims’ tragic experiences of Islamophobia alongside ramifications of the ‘Prevent’ duty in undermining academic freedom and the relationship of trust between staff and students. A conference on Islamophobia at Birkbeck College, University of London was shut down. A Muslim student on a counter terrorism MSc course at Staffordshire University was referred to Prevent on the grounds that he was reading a book on terrorism studies in the university library. He was questioned about his attitude towards homosexuality, ISIS and Al Qaeda. 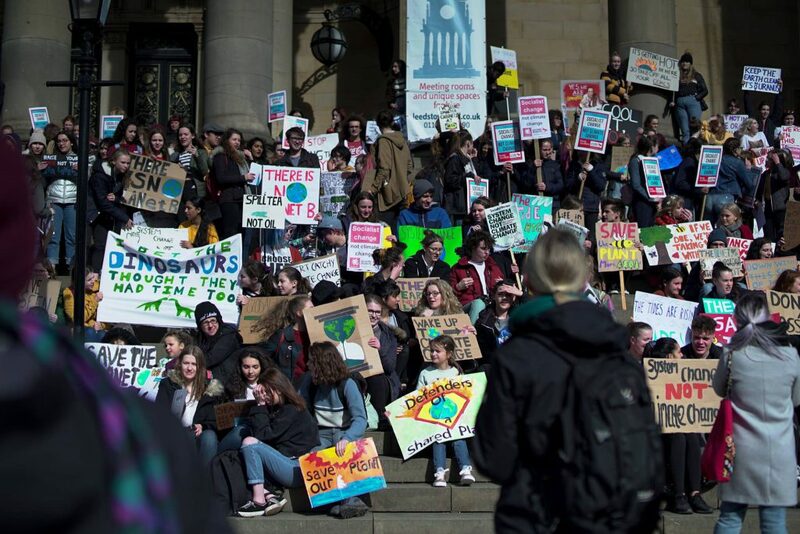 A 14 year old pupil used the term ‘ecoterrorism’ in a class discussion as an example of environmental activism and he was taken out of class and questioned about his views on terrorism and ISIS. A 10 year old child misspelled terraced and wrote that he lived in a ‘terrorist house’; his parents were called in for questioning. These are just a few examples in which Prevent has taken action and found no threat of terrorism. All that resulted was that the pupils and students referred felt nervous and frightened about what they can and cannot say or do. 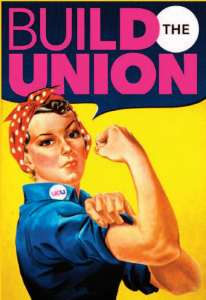 There was consensus at the Leeds meeting on the need for student and staff unions to unite in challenging this McCarthy style legislation.